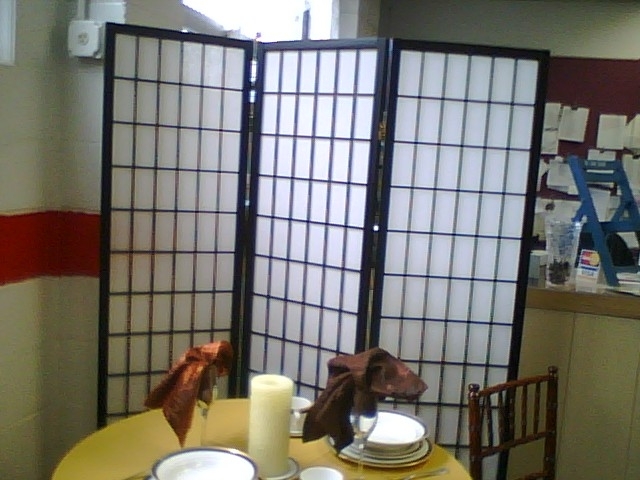 Room dividers are two poles held upright on flat weighted bases. 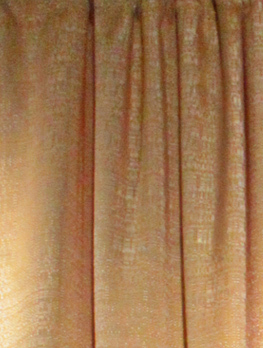 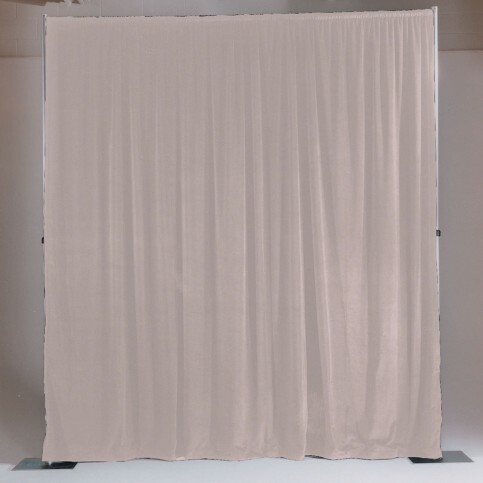 Between the poles is an adjustable length crossbar, from which are hung three panels of draping cloth. 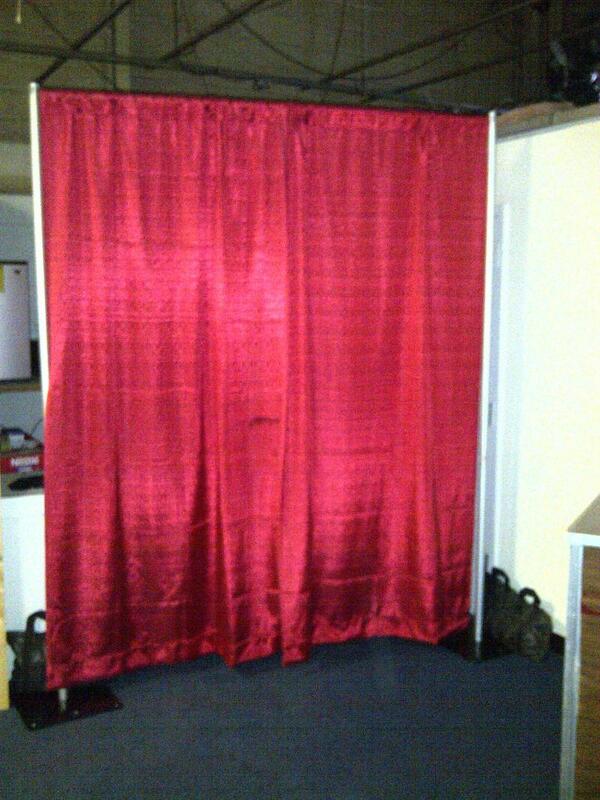 In effect, the pipe and drape forms a temporary wall, sold in sections 10′ wide. 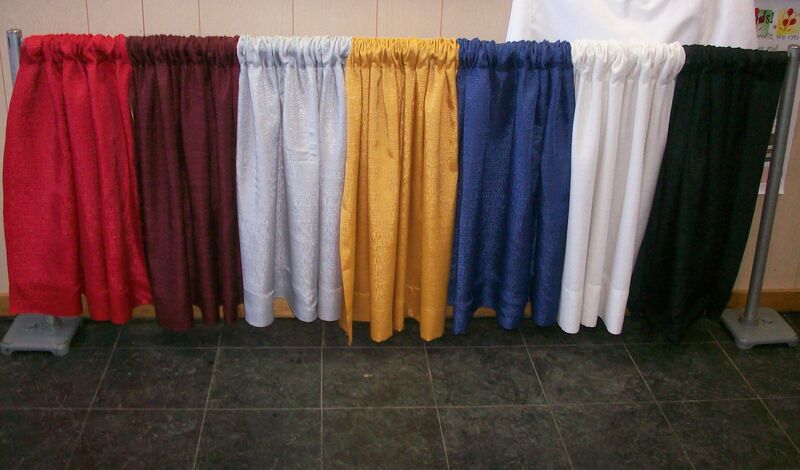 This divider is wine.